Singer-Songwriter Ryan Aderrey will be holding a record release party at the Cutting Room. His debut album is titled What If. 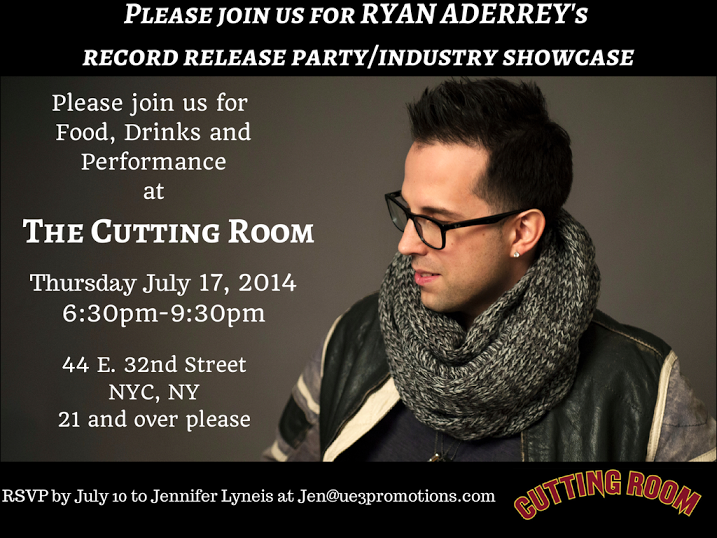 Tags: Cutting Room, record release, ryan aderrey. Bookmark the permalink.